Philadelphia 76ers center Joel Embiid looks to pass the ball while Boston Celtics guard Terry Rozier defends. The Philadelphia 76ers haven't played a basketball game in a nearly a week. And, this time of year, that can impact a team in one of two ways. On one hand, it could serve to revitalize the players, giving rest to tired bodies that would otherwise not have had time to recover. On the other, especially when a team is playing well, it can be a momentum killer and lead to a slow start in their first game back. How the time off has affected Brett Brown's team will become known on Monday night, when they head in to the TD Garden to face the Boston Celtics in the Eastern Conference Semifinals. But after a physical series with the Miami Heat – not to mention a star player with a broken face – it's a good bet that the time off will do more good than harm in the long run, even if it means a slow start in Game 1. Meanwhile, the Celtics don't have the same luxury of thinking added time off could actually be a problem. They were taken to seven games by Milwaukee in their opening-round series before taking down the Bucks on Saturday night, and possibly losing Jaylen Brown for Game 1 in the process. Despite not having Kyrie Irving for the postseason (and Gordon Hayward for the entire season), Boston still provides a tough challenge for a young Sixers team. With recent lottery picks on both sides, this could be the first of many postseason matchups in the coming years for these two longtime rivals. And that's a good thing. Here's what you need to know for the Sixers vs. Celtics Eastern Conference semifinal series. According to Bovada, the Sixers are favored to win the series at -430, meaning in order to win $100, you need to bet $430. On the other hand, the Celtics are +315, meaning a $100 bet wins you $315. For Game 1 in Boston, the Sixers (-180) are four-point favorites over the Celtics (+160), per Bovada. Celtics: Jaylen Brown (hamstring) is doubtful for Game 1. Kyrie Irving (knee), Gordon Hayward (leg), Daniel Theis (knee) are out for the entire postseason. 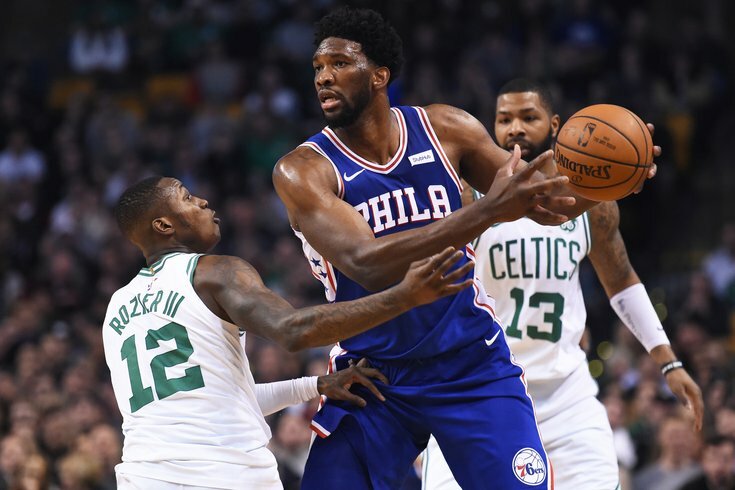 • Kyle Neubeck, PhillyVoice: You can (and should) read Kyle's full breakdown of the series because it's so much more than just a prediction, but he has the Sixers winning in six. • CBSSports.com Staff: All six of their experts have the Sixers winning, and none have the series going more than six games. • ESPN.com Staff: Eighteen of their 21 experts are picking the Sixers to advance. • Sean Deveney, Sporting News: Sixers in six games. • Sean London, NESN.com: Celtics in seven games. • FiveThirtyEight: Sixers have a 71 percent chance of advancing to the Eastern Conference Finals.